A large fire symbol surrounds Lavi and the opposing Pokemon. It burns the opponent and cause a critical hit every time. 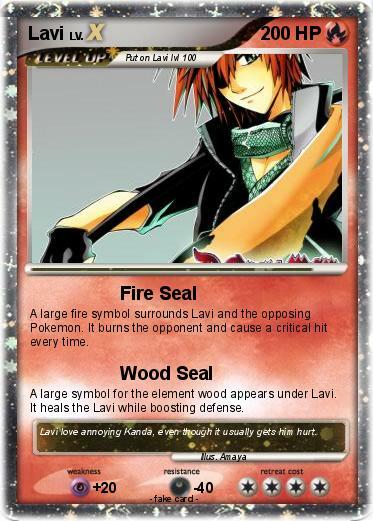 A large symbol for the element wood appears under Lavi. It heals the Lavi while boosting defense. Comments : Lavi love annoying Kanda, even though it usually gets him hurt.